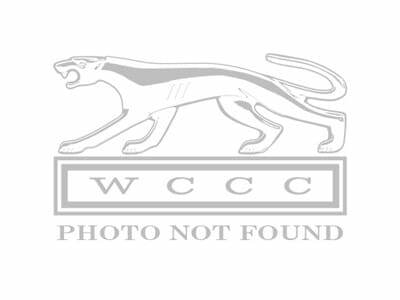 Due to overwhelming demand, WCCC is now able to offer a 1969 Cougar Electric Headlight Door conversion kit. This kit will replace the old, tired, vacuum system that likes to leak and wear out. There are few differences between the 1969 and 1970 conversion kit. 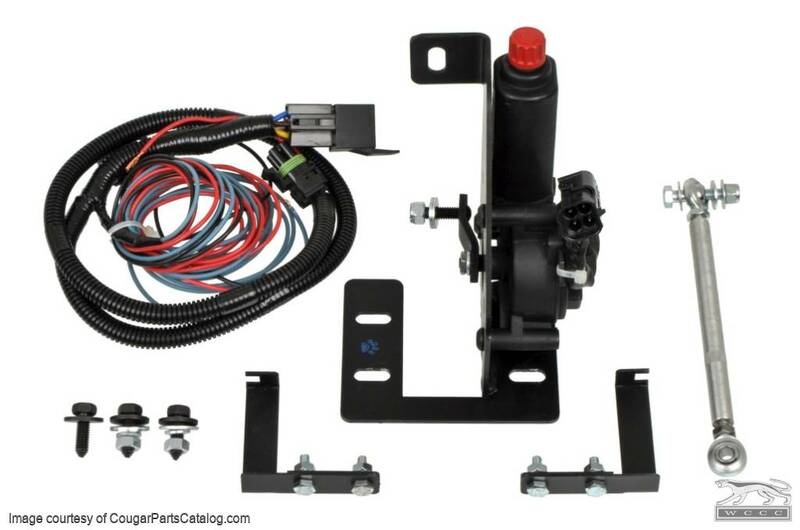 When you purchase this electric actuator kit you will get a remanufactured 1993 - 1996 Ford Probe motor, a fused wiring loom, and a relay. This kit also includes detailed instructions for easy installation. 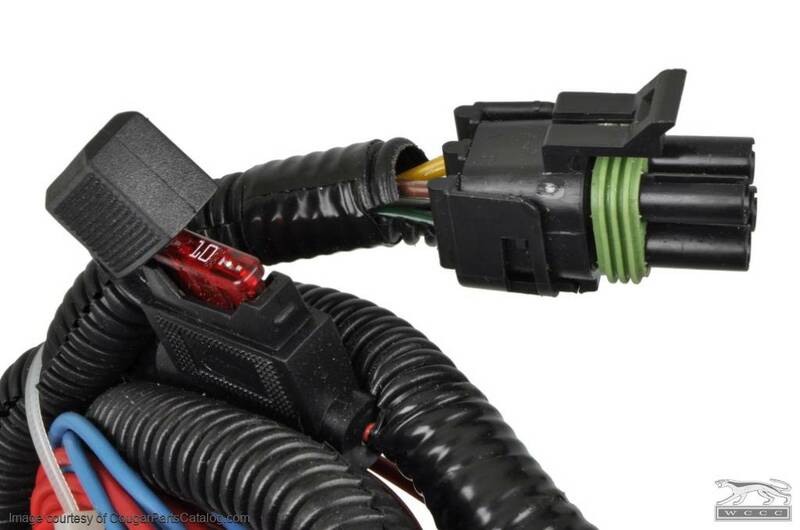 Simply remove all existing vacuum components and replace them with this kit. When installed properly, you will have headlight covers that work under any conditions with the car running or not. 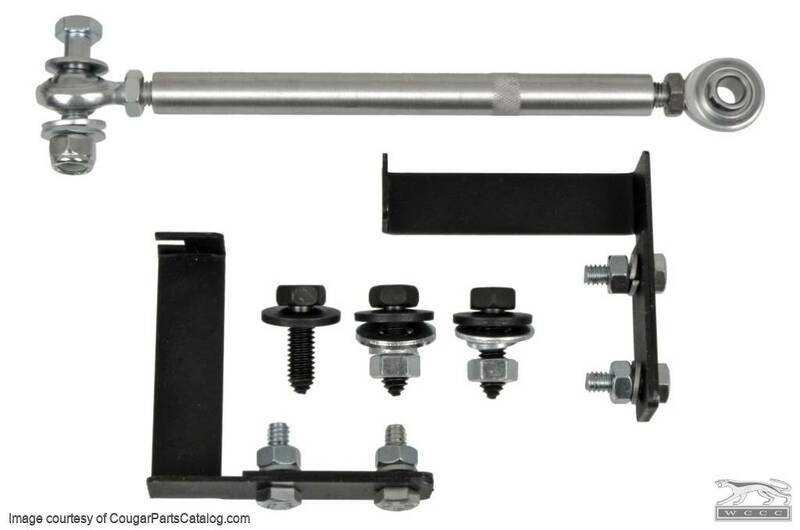 If you have a high performance engine with low vacuum, this is a must have kit for your Cougar. 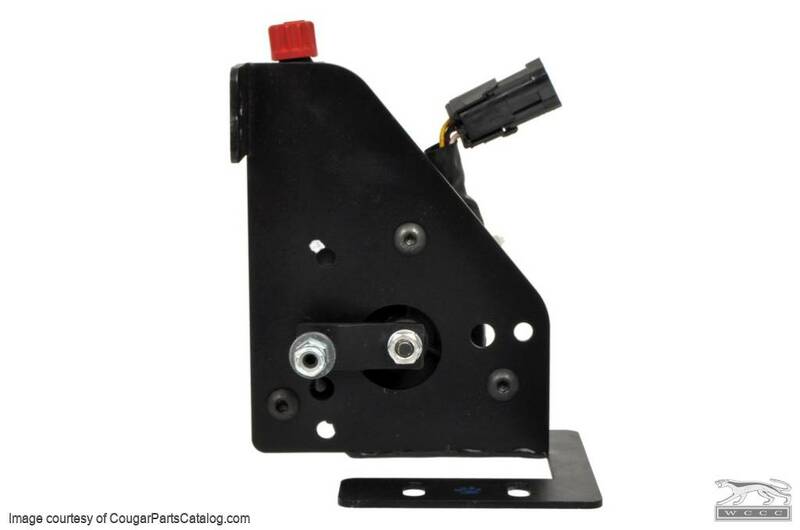 Actuator Heim joints are fully adjustable to keep your grille and headlight lids nice and straight without slack. Another advantage of this electric system is that it doesn't put constant pressure on your grille like the original vacuum system does. These kits have a 3 year full warranty against manufacturer defects. We can offer you in store credit on working clean take off parts. You can get up to $150 credit for them. 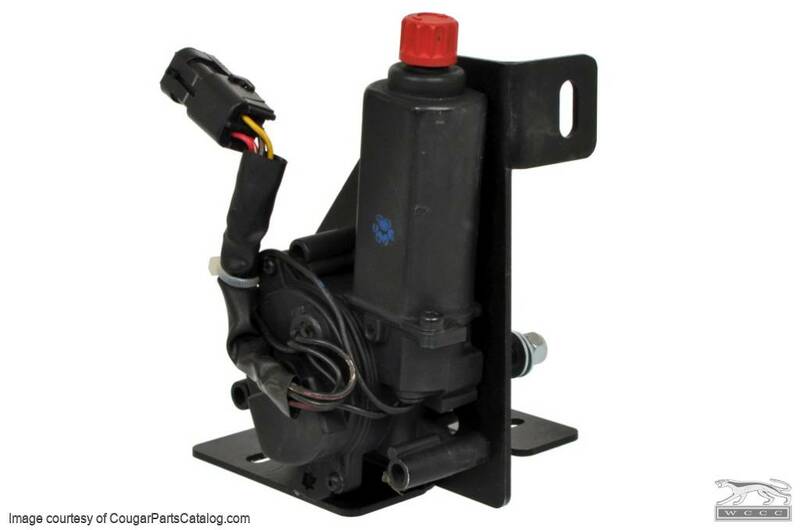 We can credit you for the actuator(s), hose kits and 1967 solenoids. If your car is a rare model we suggest you hang on to them as it may mean something to the next owner to have the original parts. We've had questions about what body plug to use when getting rid of the vacuum hoses and converting to the electric headlights. You can click on the link in the video, or get it here. Check out our installation video below! 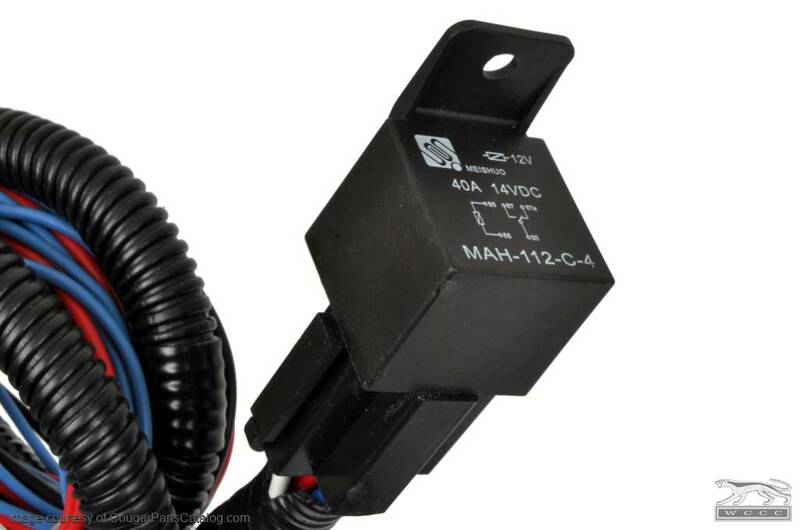 Check out our installation video below to see how these are installed on a '67 or '68 Cougar. Your browser does not appear to be able to show the instructions, click here to open in a new window. Simple DIY installation, easy wiring and a couple of bolts....smooth, quiet operation. This has been one of the easiest, most practical, and best upgrades I have done to my 69 Cougar. This product is by far way better than the vacuum system that came stock. It was a breeze to install. Instructions are so easy to follow and understand. Materials are great, already painted and everything lines up perfectly. Price is very reasonable for the parts involved too. Such a reliable upgrade for our aging cars. I highly recommend this upgrade.